It’s my day off and I feel like crap. 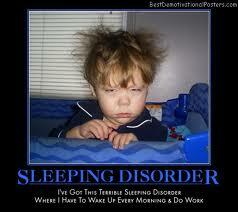 I didn’t sleep very well. I couldn’t get comfortable whichever way I rolled. I had weird dreams and now I can’t remember any of them. And my tummy hurts and I wasn’t even off my diet yesterday. Sigh! When I feel like this I automatically want to blame someone so I can take it out on them but we all know, “Crap happens!” I would want that bumper sticker if I used bumper stickers. I do have a message roll-by on my license plate holder. Right now it says “Are we having fun yet?” that gets smiles in rush hour. But “Crap happens!” might be a good one, too. Oh well. I have to deal with it. I can think of 5 things that SparkPeople sent me to adjust to the fall. Maybe I’ll adapt them for me. OK, what foods are my comfort foods that won’t put my diet in the toilet? Most people like soup. I know I do. Carrot Ginger? Roasted red pepper? Kitchen Sink freezer soup? Even just Campbell’s Tomato will do it. 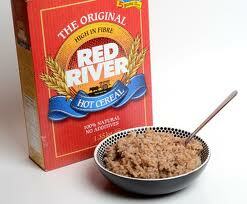 Red River cereal? Almost any hot cereal would work. I’ll make a biggish pot so I have some over this week. And one square of 80% cocoa chocolate! I love the smell of the air in the fall. It is so fresh – unless – you’re at Goldstream Park with the salmon run. They spawn, they die, they stink. But lots of eagles and swimming fish are fun to watch. The leaves are turning or have turned yellow, orange and red. It’s the perfect time to take walks. A little difficult holding an umbrella while using a cane but not bad. Not bad at all. Even the rain and fog days mixed with spectacular sun are only the beginning. People seem happier. The year has progressed. We’re working not lazing. It’s a wonderful time to play or watch all those soccer games. It’s also really hard to eat all the stuff in your fridge when you’re outside. “Spring ahead and fall back.” You get an extra hour! It’s darker earlier and later so you don’t get awakened by the sunlight. You are allowed to hibernate to a certain degree in the fall. I can start going to bed earlier, 10 pm instead of 12. Maybe I’ll get that 8 hours I’m supposed to get. I’ll turn the alarm off on weekends and file away the guilt feelings if I sleep past 6:30 am. ETC.) There is one more thing that wasn’t in the SparkPeople article that always helps at anytime of year or especially if you feel like crap. 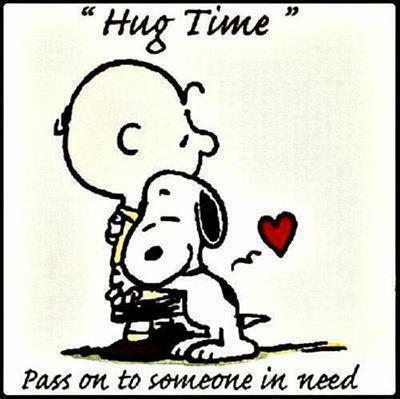 HUGS!!!!! Not the Hershey’s ones, even though I LOVE those ones, too. But real, arms out, hugs! Get and give as many as you can and your serotonin level will be amazing. My tummy still hurts. I’ll make some rose hip tea (lots of vitamin C) and say, “Thanks for listening”. ~ by 1fatgirlshrinking - Diane Kirby on November 14, 2012. This Helped me a LOT!!! !Hey, I tried this program for two weeks and notnhig happened, but after that, I started to lose weight. And now, one month after i have lost a serious amount of weight, of course I go running aswell sometimes, but this healty eating is really helping me!